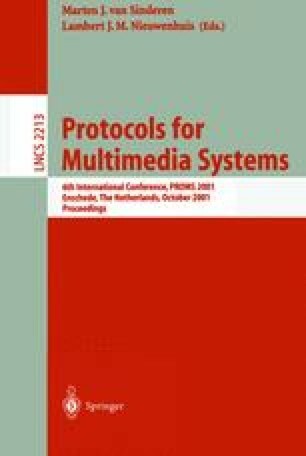 Despite its obvious suitability for distributed multimedia applications, multicasting has not yet found widespread application. Having analyzed shortcomings of today’s approaches, we devise in the GCAP project a new endto- end transport architecture for multimedia multicasting that supports partial order and partial reliability. In this paper, we argue that, at the network layer, single-source multicasting (PIM-SSM) should be chosen. Consequently, our Monomedia Multicast protocol provides, along with reliability and QoS monitoring functionality, an ALM based multicast solution referred to as TBCP (Tree Building Control Protocol), to be used as back channel for SSM, e.g. for retransmission requests. On top of the Monomedia protocol, our Multimedia Multicast protocol handles multimedia sessions composed of multiple monomedia connections: The FPTP (Fully Programmable Transport Protocol) allows applications to specify, through its API, the (global) synchronization and (individual) reliability requirements within a multimedia session. Our group management approach is focused on group integrity.